In the second massive upset of Day 2, Taiwan's Flash Wolves toppled Korea's KOO Tigers in convincing fashion. We caught up with the Flash Wolves' luminary jungler Hao-xuan "Karsa" Hong for more insight on how the Wolves took the Tigers down. Ahead of the game, the Flash Wolves swapped out AD carry Jong-hoon "Kkramer" Ha for their alternate ADC, Wen-an "NL" Hsiung. KKramer was caught out several times against Counter Logic Gaming on Day 1, but according to Karsa, the swap wasn't based on his performance. "This was basically the coach's decision and it didn't matter if we won yesterday or not," he said. "It would have been NL today, no matter what the result was yesterday. I think NL played a big part in our comp." He explains that the Flash Wolves wanted to go for a poke composition to take out KOO, and NL's strategic play style catered better to their needs than Kkramer's late-game carry style. Karsa picked his staple Nidalee to counter Ho-jin "Hojin" Lee's Lee Sin, and NL surprisingly got to play one of his best champions, Varus, to round out the composition. Eventually, the Flash Wolves' poke got the upper hand against the KOO Tigers', who centered their own picks around protecting Jong-in "PraY" Kim's Jinx. 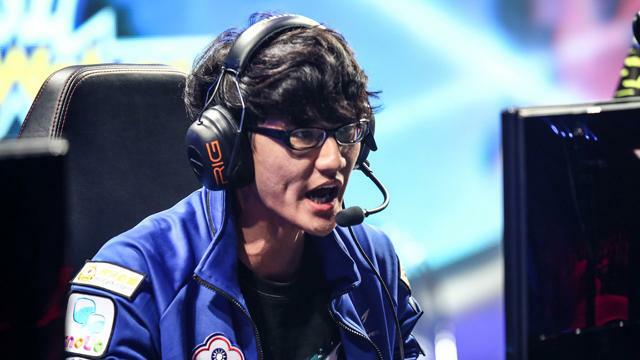 KOO found an advantage in the early game as mid laner Seo-haeng "KurO" Lee managed to bully Yi-tang "Maple" Huang's Gangplank out of lane, despite Maple earning First Blood in a Level 1 fight. "In this situation, what we usually do, when we know Maple's going to die or he's going to be in danger, is I'll push the wave and he'll go home," says Karsa. Even though KurO was able to take the Flash Wolves' mid turret because of a near-continuous Blue Buff, Karsa's reprieve was enough to get Maple to the mid game, where his scaling Gangplank eventually turned the game for Flash Wolves. "When Maple got Triforce and Infinity Edge, he's invincible to be honest, and that's when we started to win team fights. That's when we were able to turn around the game." The stars aligned for the Flash Wolves. After their power spike, they finally took a convincing fight, and used it to grab a relatively fast Baron, due to some clutch plays by Lu-hsi "Steak" Chou on Darius. "After the first Baron, I thought we were going to win," says Karsa. With the breathing room provided by the Baron buff, and a significant gold lead, the Flash Wolves dictated the tempo for the remainder of the game through their quad-threat poke comp and great disengage from Shuo-chieh "SwordArt" Hu's Morgana. Never letting go of their lead, the Flash Wolves shut down every attempt KOO made to fight with retaliations of their own. And eventually, they catapulted into a dominant position that was too strong for the Tigers to deal with. 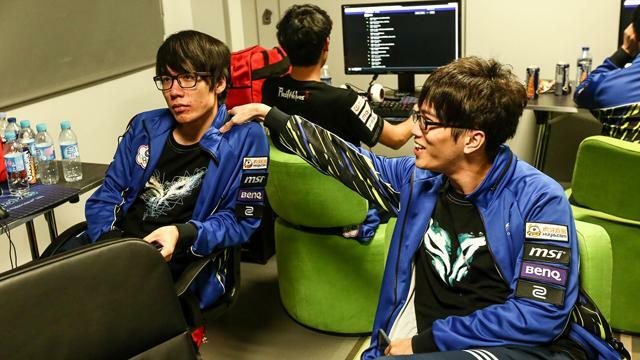 For now though, Karsa is keeping his cool and isn't celebrating the victory over KOO. "I actually don't think anything special [about the win] because we have better teams to beat." And while the upset win was convincing, Karsa still doesn't think the Flash Wolves are the top team in Group A. "I actually think CLG is the best team in our Group," he said. 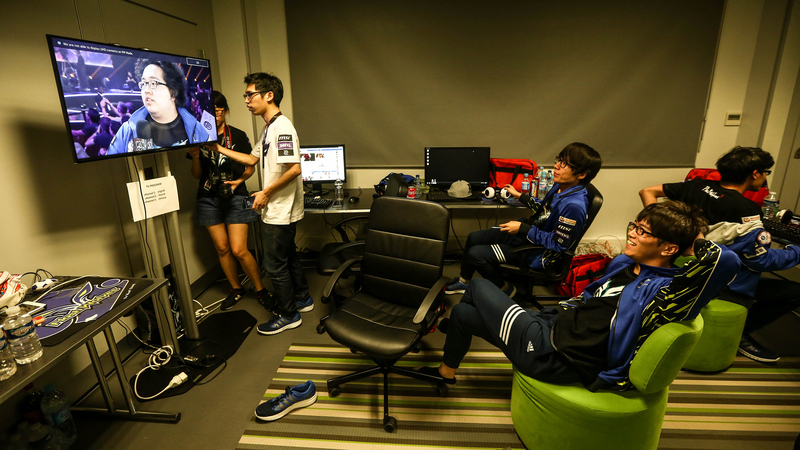 "Doublelift's mechanics are godly, he's really good to be honest," he continued. "Their strategy is quite great." He explains how he thought Counter Logic Gaming's vision control and picks and bans were better than the Flash Wolves' in their first bout together, and they'll have to shore up those details if they hope to take them down. With such improvements from only one day to the next though, we can't count the Flash Wolves out. You can catch them again when they play paIN Gaming on Sunday, October 4 on Lolesports.com.